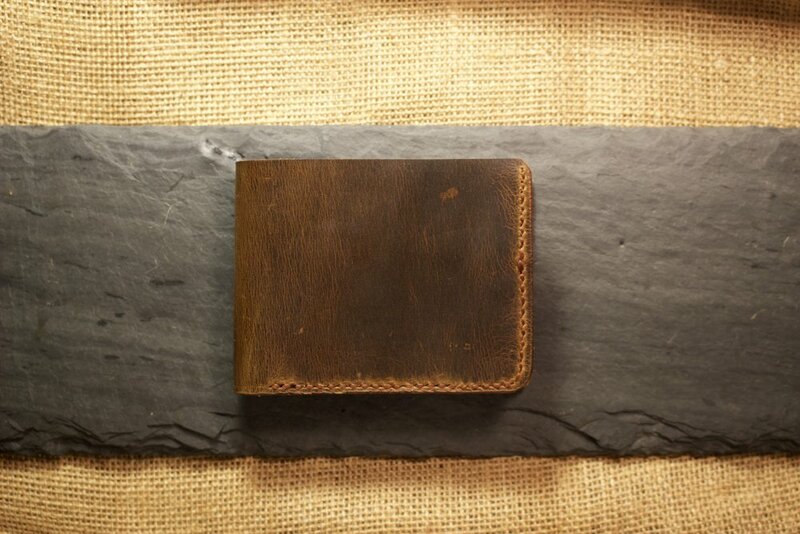 All items are one of a kind and made to order. Once you've placed your order you will be notified when you can expect your item to ship. 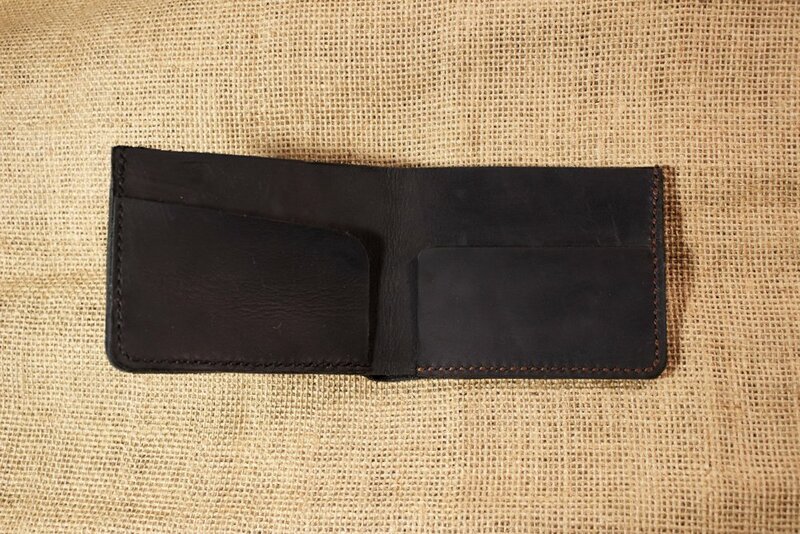 This varies depending on work load and availability of leather colors. Leather is currently available in Black, Cognac and Brown. Check the news page for updates on new leather colors. If there is something you do not see that you would like, just let me know and I will give you a price quote. Get your initials embossed for free! One month ago I was commissioned to design and build a roll top back pack for a client in Austin, TX. I had never made a backpack before so I was a bit nervous but I decided to give it a go. 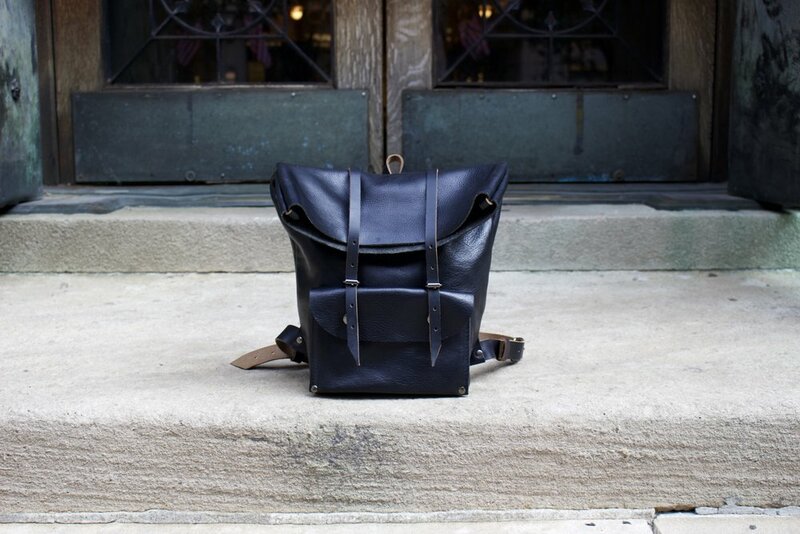 The result is this black, one of a kind roll top back pack. I used black Chicago Horween chrome tan leather for the straps and a beautiful black Italian calf skin for the body. The one pictured is 8"W x 4.5"D x 16"H (unrolled) but I can make this in any size desired. 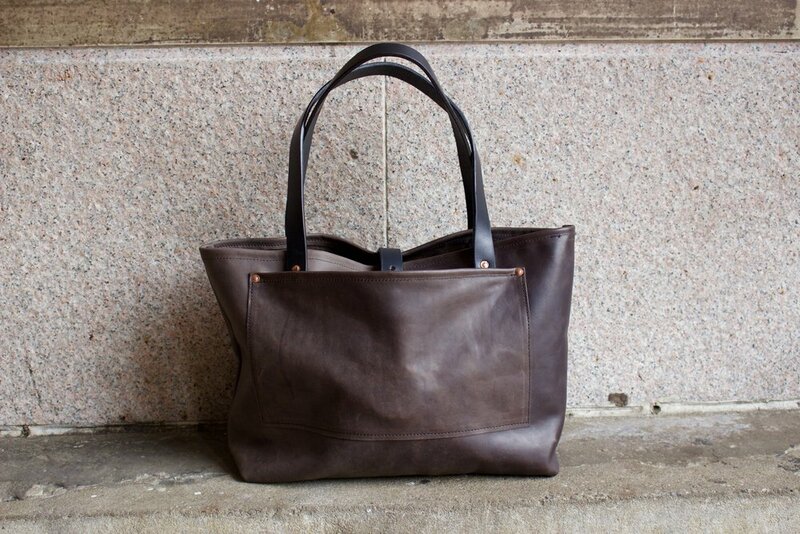 The Perfect Tote is made to order and to your specifications. Make it taller, shorter, skinnier, or wider. It's up to you! Just tell us the dimensions you want and we will make it. Cross body strap also available upon request.